is established since 2008 focus on soft skills training that improve the performance and productivity of individual and organization. We bring together a pool of highly qualified and experienced trainers with more than 2000 training days to train, coach and share of information during the trainings that prove to be extremely valuable and mind opening. Our team are dedicate to fulfil our promises to deliver only programs of the highest quality and greatest value. With effort from our pool of experts, we are proud to be one of the most innovative corporate learning business partner. Our latest talent development framework had successfully developed a substantial number of corporate professionals. With this development framework, we are able to predict behavioral change to drive business objective. "It's very good because it's give lot's of real scenario of the organization..."
"Effective & attractive way of presentation..."
"It was a very useful for position might how to develop the skill in HR...."
"It was a very good presenter - new approach on strategic HR..."
"Interactive, knowledgeable speaker. Good touch base on our current HR roles..."
"Interesting content/activity to change mindset. Great presentation, Kudoo!..." "More fun on how to work out HR strategies on examples of more companies. 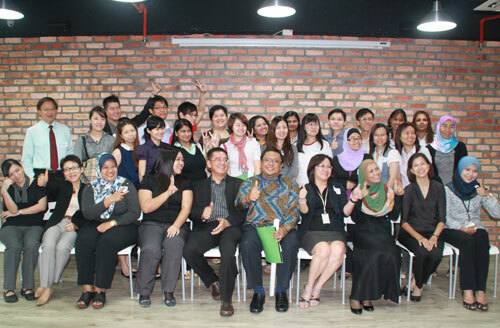 Eg: Air Asia..."
"Give a good input and awareness about current HR practices. Make me think about 'turning point & moving forward', how & what I can do after this..."
"It was very interesting topic and easy to learn..."
"very effective to build up personal motivation and encourage to be more alert on HR role (Strategy)..."
"More insightful information in the future of HR..."
"Interesting topic, the presenter able to create interest to the participants..."
ways and options about change management..."
and the best ways to interact with these..."